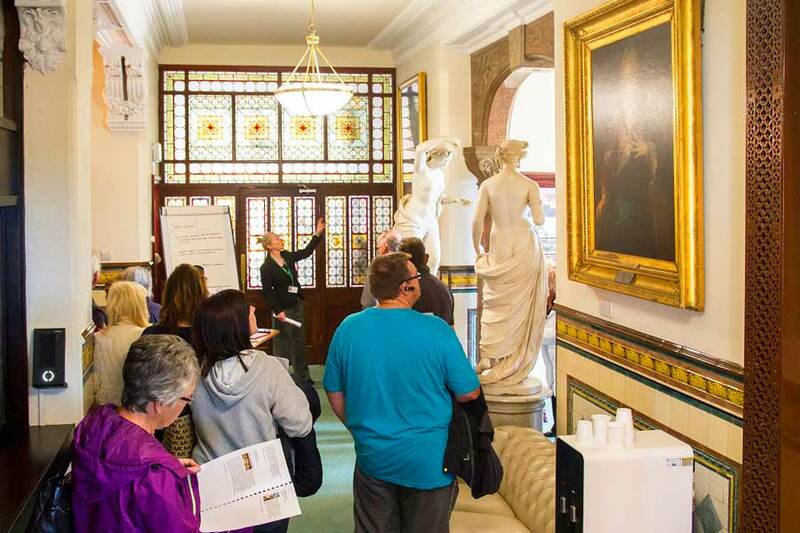 All over the country Heritage Open Days are enjoyed in this annual, national event when the general public can visit buildings not usually open to them. It is driven by the local Civic Societies and Kate Cartmell of the Lytham St Annes Civic Society has been at the front all the years that the Town Hall in St Annes has been opened to the public. It is a chance for individuals to see the Town Hall but also much of the Collection which is on display within the Town Hall. A most successful Open Day was enjoyed this year on Saturday 9th September. Fylde Borough Council’s Amanda Draper project managed the event down to the last detail and with a lot of good publicity leading up to the event plenty of visitors took advantage of the opportunity to enter into the beautiful, recently renovated Town Hall. The Friends were much in evidence giving out information about the Friends and selling Greetings Cards including the new for 2017 Christmas Cards. The Civic Society also displayed details of their good works and encouraged new members. Amanda gave guided tours on the hour, every hour, and Kunie Couch, who had researched the collection of ivories as part of the Tagging the Treasures Project, gave talks on them, dressed in her kimono, which all added to the atmosphere. Heritage Open Day at the Town Hall, St Annes in 2018 will be Saturday 15th September.